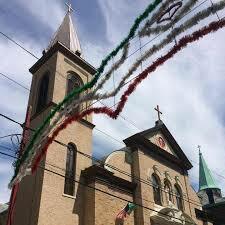 August nights are a time to celebrate when La Festa Italiana, the Old World Italian Street Festival hosted by Holy Rosary Church turns Historic Downtown Jersey City into five summer nights of music, dancing, food and fun! 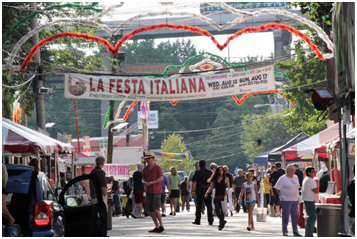 La Festa Italiana 2016 begins Wed, Aug. 10, and continues through Sun, Aug. 14, on Sixth & Brunswick Streets. On these five summer nights, the neighborhood surrounding Holy Rosary Church will come alive with rocking dance music, games of chance, kids’ activities, and a wide-array of delicious foods and libations. 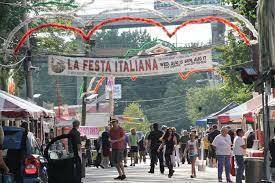 La Festa Italiana runs from 5 pm-11 pm Wednesday-to-Friday, and 3 pm-11 pm Saturday & Sunday. The last night (Sunday) at 11 pm, the “Super 50/50” Raffle winner will be chosen. Last year’s ticket-holder won over $10,200. If you don’t know by now, one-third of Jersey City is a designated Urban Enterprise Zone (UEZ\) a designation that offers local businesses tax and other financial incentives to help grow their businesses and stimulate local economy. Sale tax revenues generated by UEZ businesses go for economic development and neighborhood improvements like street lights, paving, flowerboxes — and other programs that give constituents a feeling of pride in their community. 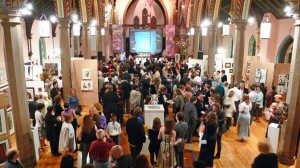 River View Observer “Best Pick” Event Happenings in April in Jersey City.